Here at Weiss Ratings, we don’t just analyze and rate domestic banks. We also gather data and give unbiased opinions about the safety of banks all around the globe. In fact, there’s a good chance that any international bank names you hear on the news are also on our global bank ratings list. The ratings indicate that 54.2% of the global banks we cover received an “A” or a “B” rating. Another 35.7% were in the “C” range and 10.1% were rated “D” or “E”. 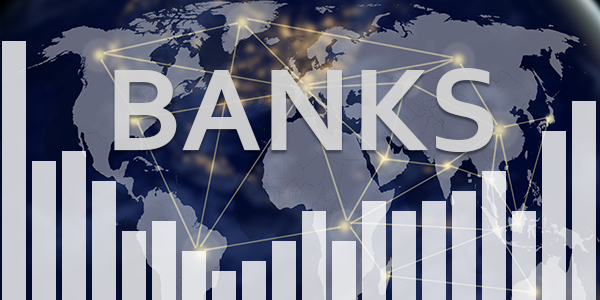 Overall, it looks like the global banking industry is in decent shape, with a solid majority of banks rated “C” or higher. Below are the ten largest global banks we rate. The top four spots, with a combined $12.6 trillion in assets, were taken up by state-owned Chinese banks. The U.S. had three banks on the list, while Japan, the U.K., and France each had one. So, who are the weakest large banks, those with at least $200 billion in assets and a safety rating of “D” or “E”? The table below answers that question. As you can see, the top two largest and weakest banks on this list are Italian banks. Many of the world’s weakest banks (rated “D+” or lower) are in Europe, specifically the Eurozone. These are European Union countries that use the Euro as their main currency. In fact, the Eurozone is the lowest-rated region in the world, with an average safety rating of “C-”. Nearly half, or 43.6%, of the region’s banks are considered “Weak” with a Weiss safety rating of “D+” or lower. Within the Eurozone, Italy is the weakest banking country. Out of ten Italian banks that we follow, eight were rated “D”, one was rated “E”, and one was rated “C-”. That’s a whopping 90% of banks in the country that Weiss considers to be weak. Other Eurozone countries with more than one low-rated bank are Spain and Greece, with three and two “D” rated banks, respectively. Meanwhile, the Middle East/Africa region received an average rating of “B” – the highest rating of all regions. Most of the banks, or 83.7%, were rated either “Excellent” – A, or “Good” – B. These banks was much smaller, too, with even the largest having only $204 billion in assets. In the Asia/Pacific and North America region, the average bank rating is “C+”. 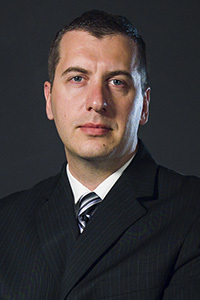 Remi Lukosiunas, a Financial Analyst, joined Weiss Ratings in 2014 with a financial services background in internal audit and the credit union industry. Remi conducts banking, credit union, insurance and investment research. He has also written extensively on stocks and investing using ratings as a guide. Remi is a graduate of Florida State University with a degree in multinational business.